Comments: It is the first doublefile that resulted from a breed program for the imporvement of this species. 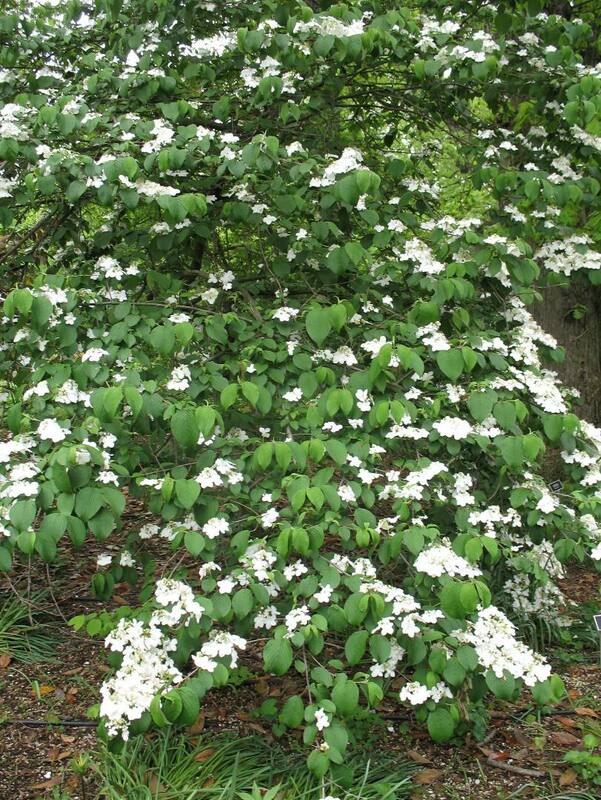 It is a strongly horizontal, large shrub, twice as wide as high that grows under a wide range of conditions. It does well in full sun, except in the deep South where it need some afternoon shade. The large outside, lacecap flower are sterile and partically cover the inner fertile ones. Used as a specimen, in borders, massed in groups amd where a good horizontally branching plant in a needed landscape element.